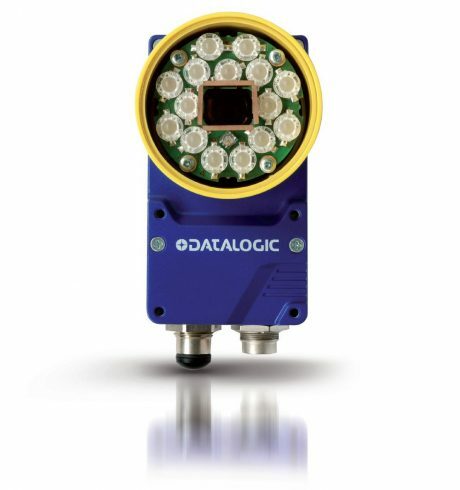 Matrix 410N™ is an industrial 2D imager for traceability applications in material handling and logistic environments. Matrix 410N™ is equipped with a ultra-fast image sensor, scanning at 2.0 MPixels, with a frame rate of 45 fps. Ethernet connectivity is embedded, including standard communication services (TCP/IP, HTTP, FTP) and the most common industrial fieldbuses, as PROFINET IO, ETHERNET/IP, MODBUS TCP. Matrix 410N is flexible, easily configurable as single device reading station or in a multiple device layout, in order to scan over larger areas or multiple sides. Matrix 410N offers image saving functions for reading cases review (as No Reads). Up to 3.000 images can be stored on board or transfer to an external FTP clients. Matrix 410N is “ease of use”: the DL.CODE software enables graphical setup and supports in-line monitoring functionalities, including live image display, reading statistics and diagnostics. The embedded laser aimer and the patented Green Spot – projected into the scanning area – permit to user a quick scanning area determination and to easily acknowledge a reading without any external accessory or software.